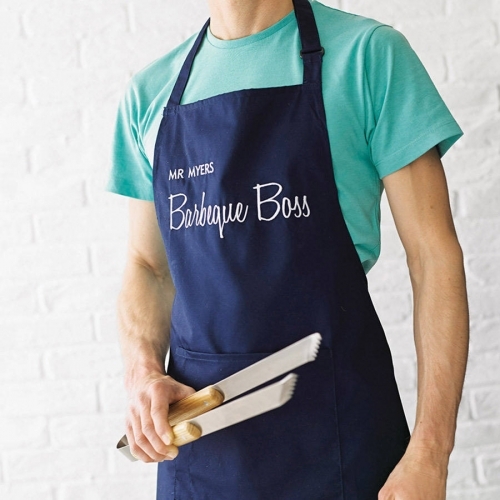 Uniquely embroidered adult barbeque themed apron that makes a perfect gift. The lettering on each apron is beautifully embroidered to order by our in house embroidery team. Your item has been added to the bag above. The first line of lettering uses a modern font in capital letters usually a name, however the possibilities are endless – why not use a greeting, name or date to mark a special occasion. The second line of lettering is for the slogan as shown, or for a slogan of your choice. It will be embroidered in the stylish script lettering as shown in the example. 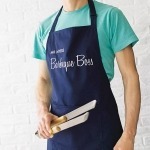 The adult aprons feature a large front pocket, self fabric neck tie with an adjustable neck strap and long self fabric waist ties. 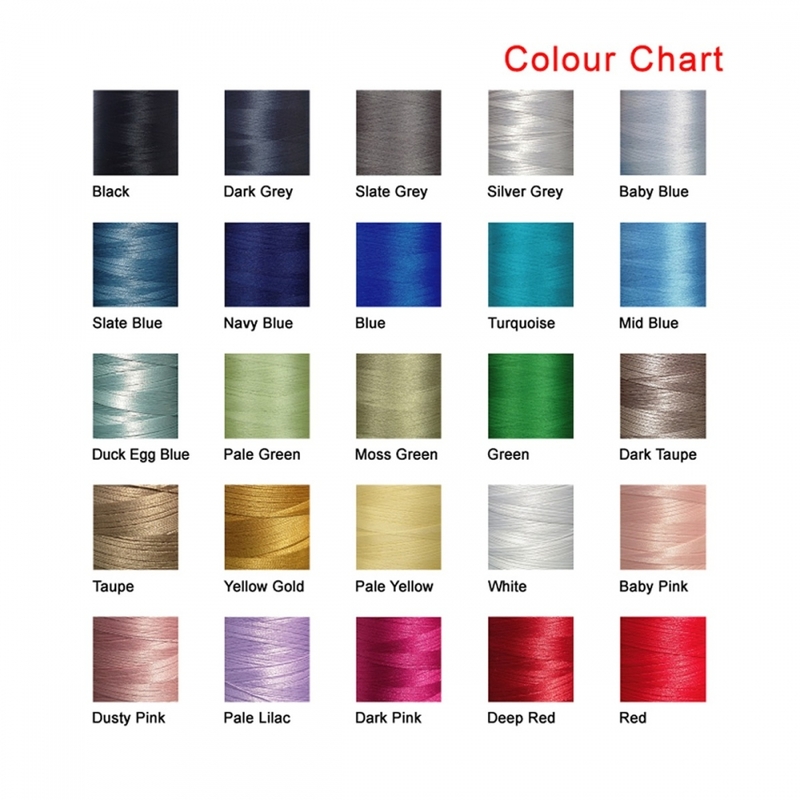 They are available in a wide range of plain colours, as well as two shades of denim. Please note these aprons are also available for children in two different sizes, the small child aprons are only available in white. They have self fabric ties and a neck piece. No pocket. 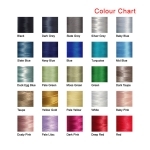 There is an embroidery thread colour chart to show the broad range of colours available for embroidery. The delivery options for each product are listed on the relevant product pages. Each product is sent to you directly from our studio by us at Big Stitch. There are a number of delivery options including Standard, Tracked, Saturday delivery and International. INTERNATIONAL Delivery times for International deliveries vary by zone and are estimated from dispatch. The delivery cost is calculated based on the destination, size and the weight of the product. The cost is shown on the relevant product page and on the checkout page. You have 28 days to notify us at Big Stitch if you are not happy with your purchase and want to cancel or exchange. Please note that as many of our items are personalised to order and made to your specific requirements, they are non-returnable. If you have received an item that is faulty, please initially contact us directly before returning the item so that a refund or replacement item may be sent out. Please don’t destroy or throw away any product, even if it is faulty, before you have contacted us and agreed that doing so won’t affect any refund you may be entitled to. If returning an item we recommend you use a signed for delivery service with proof of posting. To avoid disappointment, please check carefully before ordering. Any queries, please don’t hesitate to contact us.